NO ENTRY FEE. NO PURCHASE NECESSARY TO ENTER OR WIN. You must follow these rules in order to qualify for Pin-it-to-win-it! Sign up for the BDW forum if you havenâ€™t already. Sign up for a Pinterest account if you donâ€™t have one already. 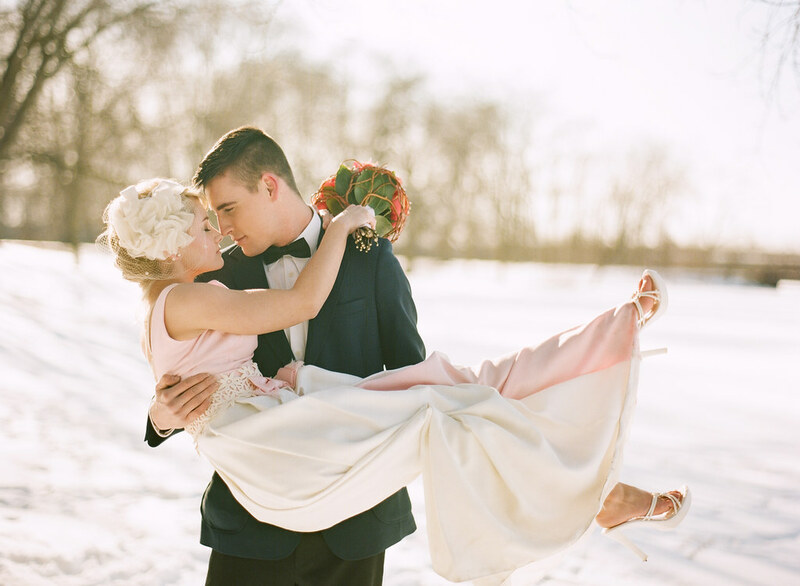 Create a Pinterest Winter Wedding Board filled with any pictures you think pertain to a winter wedding. This could include decor, hair, unique pictures, you name it! Get creative and add as many pins as you'd like but have at least 15 pictures pinned. A winner will be picked on March 6th and will be voted on by BDW community users. The contestant with the best Winter Wedding Pinterest boards will receive a $50 Spafinder gift certificate. They will be voted on by the BDW user community. *No mechanically reproduced entries are allowed and any use of robotic, automatic, programmed or the like entry methods will void all such entries by such methods. Also, don't forget to follow us on Facebook and Twitter so you're aware of all these wonderful upcoming contests! Eligibility: The Pin-It-To-Win-It Contest is open to legal residents of the fifty (50) United States. Participation in the Sweepstakes constitutes entrantâ€™s full and unconditional agreement to and acceptance of these Official Contest Rules (â€œOfficial Rulesâ€). VOID WHERE PROHIBITED. 1. The name of the prize winner will be notified by email once we receive the e-mail address via Twitter or Facebook correspondence. 2. Prizes are not transferable or exchangeable and cannot be redeemed for cash. The Promoter accepts no responsibility for any variation in prize value following the commencement date of the competition. 3. The Promoter and its associated agencies and companies will not be liable for any loss (including, without limitation, indirect, special or consequential loss or loss of profits), expense, damage, personal injury or death which is suffered or sustained (whether or not arising from any personâ€™s negligence) in connection with this competition or accepting or using any prize, except for any liability which cannot be excluded by law (in which case that liability is limited to the minimum allowable by law). 4. Promoter reserves the right in its sole discretion to take any action that may be available and to cancel, terminate, modify or suspend the competition. The Promoter reserves the right to disqualify any individual who tampers with the entry process including if an automated entry or voting mechanism is used. 6. Each winner is responsible for any tax implication arising from winning a prize. 7. In the event of any prize not being accepted or claimed within 1 week of the winnerâ€™s name being posted on the website or contacted, the relevant winnerâ€™s entry will be deemed invalid and the Promoter reserves the right to award the unclaimed prize to the next best Eligible Entrant determined by the Promoter in its sole discretion. 8. Except for any liability that cannot be excluded by law, the Promoter, their related entities and their officers, employees and agents, exclude all liability (including negligence), for any personal injury; or any loss or damage (including loss of opportunity); whether direct, indirect, special or consequential, arising in any way out of the Promotion, including, but not limited to, where arising out of the following: (a) any technical difficulties or equipment malfunction (whether or not under the Promoterâ€™s control); ( any theft, unauthorized access or third party interference; © any entry or prize claim that is late, lost, altered, damaged or misdirected (whether or not after their receipt by the Promoters) due to any reason beyond the reasonable control of the Promoters; (d) any variation in prize value to that stated in these Terms and Conditions; (e) any tax liability incurred by a winner or entrant; (f) redemption of the prizes; and/or (g) participation in the Promotion. 9. If the Promoter, in its absolute discretion, considers an entry is in violation of any laws, the Promoter may report the entrant to the appropriate law enforcement authority and the entrant will have no claim against the Promoter, including for any loss or damage it may suffer as a result. 10. All entries will be the property of the Promoter and may be used by the Promoter in advertising the Promoterâ€™s products and services. All Eligible Entrants assign all copyright in their entries to the Promoter and expressly waive all of their moral rights under the Copyright Act 1968 (C'th) in favour of the Promoter and all Eligible Entrants agree to do all things reasonably necessary to give effect to this term. The personal information entrants provide will be used by the Promoter for the purpose of conducting this competition. The Promoter may disclose entrantâ€™s personal information to its contractors and agents to assist in conducting this competition or communicating with entrants. 11. Where the prize is awarded in the form of a gift card, voucher or letter ("Voucher"), the Promoter will not be liable for any Voucher that has been lost, stolen, forged, damaged or tampered with in any way. Redemption of the Voucher is subject to the terms and conditions specified on the Voucher. 12. Failure by the Promoter to enforce any of its rights at any time does not constitute a waiver of those rights. I hope you all have a great time! I can't wait to see the Pinterest boards. Looove Pinterest! Can't wait to see what everyone comes up with! Jennifer your board is looking phenomenal! I can't wait to see all of the rest! You have a couple weeks left. Keep on pinning!